It seems to me we can never give up longing and wishing while we are thoroughly alive. There are certain things we feel to be beautiful and good, and we must hunger after them. 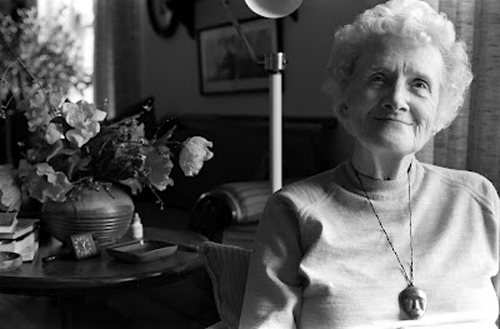 I was in my twenties when she died at 84, of congestive heart failure. She was ready to die I knew that. A long time dream of hers - to see me attend art college - had been realized I was half way through a nearly 6 year stint that would have me graduate with both a Bachelor of Fine Arts & a Bachelor of Design (I couldn't make up my mind so I went to school most summers & did both). She was so thrilled to see me there & that last Christmas I gave her a multiple link sterling bracelet I had designed & made for her in my first intro to jewellery course at school. 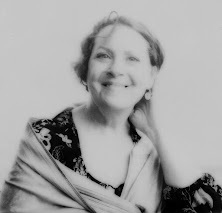 She was an artist, she was so modern, ahead of her time (something I continually teased her about and that she loved being teased about - this thoroughly modern grandmother of mine, wearing square toed & tres hip shoes with chunky heels, soap stone necklaces of faces & never, ever was she caught in slacks or pants. And boy, oh boy - she loved me, she loved me, she inspired me ... and oh my, there are so many times when I wish with all my being that I could spend an afternoon again with her in her amazing house, surrounded by all her treasures. Working on my recent jewellery design project had me thinking about Flo, she studied at Pratt in New York City when she was in her 20's. I remember her telling me about Howard Carter discovering King Tutankhamun's tomb while she was living in NYC (she was 21) and how the world was a buzz with this incredible archaeological find. She was offered a job designing jewellery for Tiffany's at the end of her school term but as family legend goes her father didn't feel it appropriate for her (a single young woman in the 1920's) to continue living New York alone. She was originally from St. Stephen New Brunswick (her maiden name Huestis) & ended up going to Mount Allison (then called The Ladies College) where she taught Applied Arts - a broad art/creative curriculum that included a variety of disciplines - ceramics, wood carving, leather work, china painting & jewellery making where she met her dashing, apparently very sought after bachelor, & handsome husband to be - Robert who was then a colonel in the 8th Hussars. Years later after raising her 4 boys (one of which was my father David) while her husband was away in Europe during both wars - she enjoyed oil painting, mostly landscapes & still life, volunteering, she had huge gardens (vegetable & flower), was an avid birdwatcher and spend hours & hours crafting many art projects with her grandchildren. Lucky us (my sister & cousins). The necklace she wears in this portrait was a favorite of hers which she wore often. I'm sorry to say that if I did once know it's providence it's long since forgotten. It was carved I think from stone (maybe soap stone) & hung on a well worn leather cord. Last night as I sat up in my bed with my journal I was thinking about her favourite face necklace on the leather cord ... and wishing with all my might that I could speak to her again. I will always love you Flo - that big huge kind of love - she changed the course of my life and I am forever grateful. Oh, Susan, what a very beautiful post.... I love hearing about/talking about grandmothers - such a powerful influence on young minds. 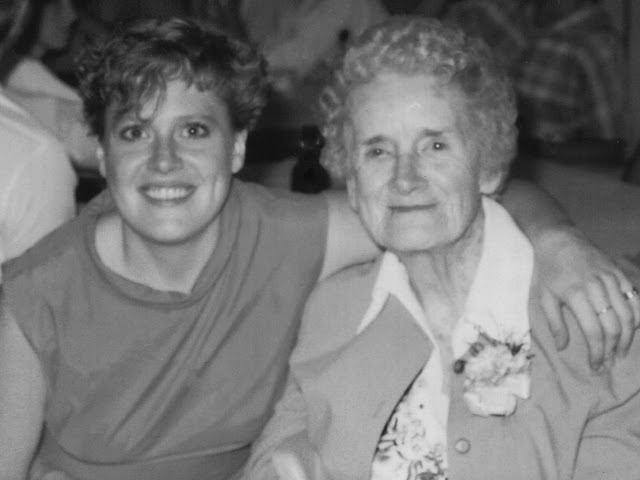 Your grandmother was incredibly special; no wonder you love and miss her. what good fortune to have had such a grandmother. Incredible - I love her jewelry piece. what Pratt must've been like in her day! the photo of the crow in the field last post is sublime. you are the wunderkind! Thanks for providing more background on the Flo of Flo's pewter pitcher, which features so prominently in some of your photos. In my experience, grandmothers are best for showing unconditional love. Flo sounds like the coolest grandma in the world. What a delightful entry today - you're outdoing yourself this week, there, missus! oh n. I'm not sure she was "getting down" - but she was so amazingly tolerant - & happy to do something that made her young granddaughter happy. I was very blessed - still am. What an amazing lady to have inherited your genes from. And to have been so loved by. very nice post - i posted about a special family member today too- (and though my grandmother was not a Flo. . . she was a Florence). I'm enjoying your blog very much. What a great tribute. I too have been lucky enough to have several older women in my life that continue to give way beyond their physical lives. We have been blessed. Thanks. Loved this post - such a special and talented person. how beautiful! and what a lovely photo of her! I enjoyed reading about your grandma! She sounds like she was amazing! A life well lived and passed on to her granddaughter. Can you post a photo of her in her younger days? Great post and touching photo. Oh my! This post brought tears to my eyes!!! What an incredible woman! She remains with you, still, in every creation, large or small. Her blessing in your life continues! Thank you for sharing! What a wonderful gift love is. We never grow out of it as we get bigger. It still fits you beautifully.